Imaging/Radiology plays a key role in diagnosing, treating, and monitoring the broadest range of conditions, from injuries to cancers, neurological disorders, and cardiovascular disease. Our medical imaging capabilities are among the most advanced in the Capital Region. Tests are performed by highly skilled technologists, and results are read by board-certified physicians. All CT scans and x-rays are performed using low dose digital technology and software. Because our imaging services are accredited by the American College of Radiology, you can count on us to meet or exceed the highest standards of care. • MRI: Uses radio waves and a strong magnet to capture remarkable images of internal organs and tissues. • CT Scans: Provide clear, highly detailed views of all types of tissues: lungs, bone, soft tissue, and blood vessels. 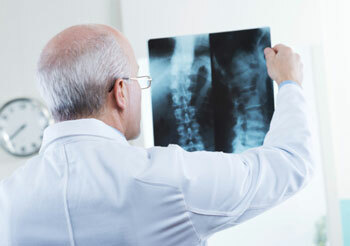 • X-ray Imaging: One of the fastest, easiest ways to check for bone, joint, and spine injuries. • Ultrasound: Uses high-frequency sound waves to produce real-time images of organs and structures inside the body . Call 518-580-2232, and request Malta Med Emergent Care as your designated site. Most current insurance card for any appointment. Depending on your test, you may require bloodwork to ensure the contrast administered is safe for your internal organs. We are able to provide this bloodwork on-site at MMEC. You may also require an oral contrast drink that will need to be ingested prior to your test. This will be discussed with you prior to your appointment. Please wear loose clothing and ensure you are not wearing metal or jewelry. This includes underwire located in many undergarments. Please refer to the instructions reviewed with you at the time of making your appointment. Certain exams require different preparation. If you are unsure about any of your preparatory instructions, please call 518-886-5445 to speak with a radiology technologist at MMEC. Upon your request, we can provide the results of your imaging scans and share them with your doctors. Download the form to release information HERE. No appointment necessary, but recommended because Insurance Authorizations are required. How much will my co-pay be for radiology imaging? Your co-pay depends on your insurance and is usually listed on the front of the insurance card. We ask that you call your insurance company prior to arrival to ensure you know the expected amount you’ll be paying for the services rendered. Is my ordered testing a covered service by my insurance? Your covered services are dependent on your insurance as well as your diagnosis from your ordering provider. With our scheduled services (ultrasound, MRI, CT scan), you will be provided an estimate of your co-pay or deductible responsibility by the scheduler. For walk-in services and testing, our registrars run your insurance and ordered tests to ensure coverage for that service. Imaging requires a valid prescription and insurance authorization. Please call 518-580-2232 to schedule an appointment. My specialist requires me to ‘have a disc of images’ for my appointment. How can I obtain one? A copy of the dictated report of your completed test has been automatically sent to the ordering provider and any other providers specifically requested at the time of your appointment. Please allow 72 hours for transmission of report. If you need a specialist to see your images as well as the dictated report, you have two options. Your image can be ‘pushed’ to these sites without requiring a separate trip to Malta to obtain a physical copy of your information. 2. If not listed as one of the above locations, please come to MMEC to pick up your CD and report. You will be required to sign a consent form to release this information to you. You can access the form here. You can also request your CD ahead of time by emailing Medicalrecordsmmec@saratogacare.org. A consent form is required when utilizing this option as well. How does my provider obtain results? Your ordering provider will receive the results through fax or via the cloud when the results are read by a radiologist and confirmed. I had imaging done in Urgent Care. How can I obtain the results? Please come to Malta Med Emergent Care to pick up your CD and report. You will be required to sign a consent form to release this information to you. You can fill out the form prior to your arrival and present to the front desk in exchange for your records. You can access the form HERE. You may request a CD and report ahead of time by emailing Medical Records at Medicalrecordsmmec@saratogacare.org. We ask that you give us 24 hours to create the CD and report.